One of the swords that served generations housed in the British museum. True to the size and weight of the original complete with its deadly beauty. 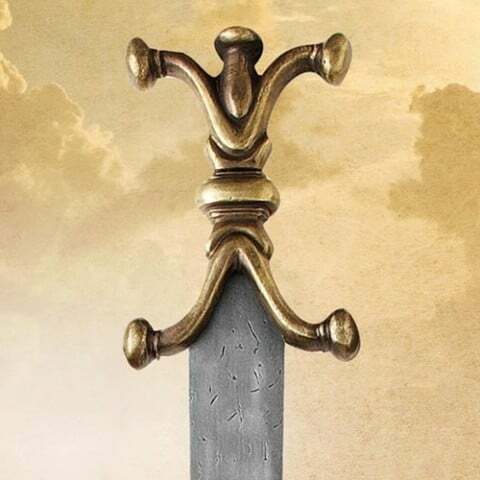 Original had the name Leurerit engraved on the blade, believed to be the name of the sword smith. Silver pommel and guard with copper lozenges. Wood grip with decorative silver pins. High carbon steel 79cm blade. Overall length 97cm. Weight 1.4kg. 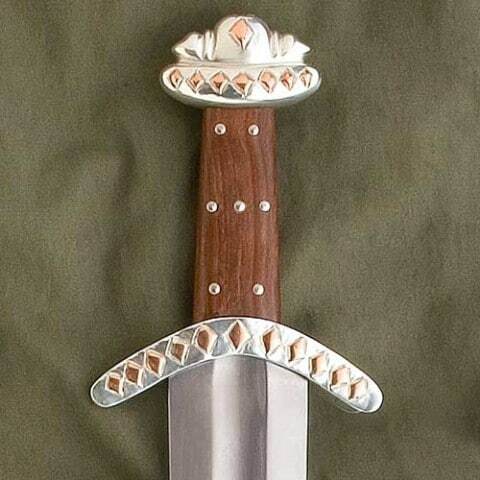 Comes with attractive leather woven scabbard. Can be professionally sharpened for an additional $30.